In my head I'm one of those hip parents that let embrace alternative paradigms about children. I try to talk to them like they're human beings and put big thoughts into their heads, and teach them stuff that floats round my mind, useful and useless stuff. Of course, that's only when we're not trying to avoid some sort of supernannyesque apocalypse. There have been a few successes, Graham, being the most notable. You see Graham's Number is an unimaginably large number . It's very, very, very big and strangely ends in a 7, Google it. I taught my children about big numbers and how they don't really exist etc etc. Part of it is the hope that the teacher will ask them for a big number one day and they'll say Graham, the teacher will look quizzically and they can say 'google it'. What a wag I am. Anyway, this is how the conversations go round here. I feel warm and fluffy and we cuddle.......isn't that sweet. Today I bought a new tool and Peanut was asking me what it was, so in the interests of education and being no respecter of gender stereotypes I told her. Every 5 year old girl should know the name of basic tools, she looked at me and I instantly realised that again I'd made a cataclysmic parenting mistake. 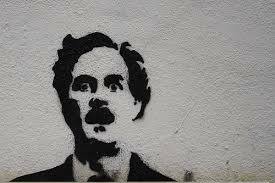 As my blood ran cold I could feel Fawlty dad rise again. Reminds me of the time my then 3 yr old was sitting at the dining table and said, completely dead pan "I need to take a sh*t" - this isn't something we have ever said in front of him as we don't tend to use bad language at home, and he's never said it since. It was completely in context and he meant it too, so of to the loo he went. I think my jaw dropped to the floor but we had a chuckle after he went to bed. It's pretty impressive, our eldest a week after she moved in declared from the back seat of the car 'if we don't get home I'm going to piss myself'. My mother was in the car and it was the first time she'd met her new granddaughter, I'm having a hot flush thinking about it now.